2 Grofers Refer And Earn : Upto Rs.150 Cashback Joining On 1st Shopping + 1 Coin Per Friends. 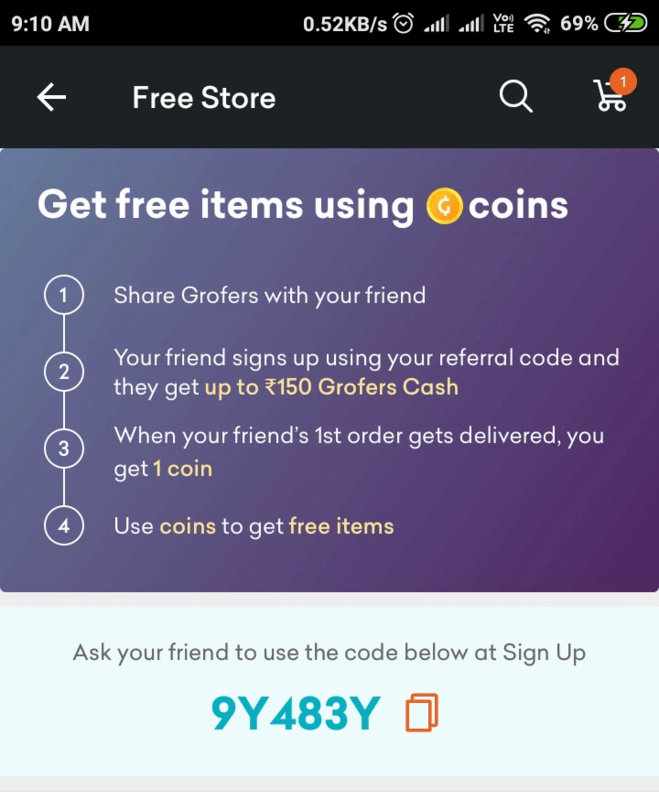 Grofers Refer And Earn : Upto Rs.150 Cashback Joining On 1st Shopping + 1 Coin Per Friends. 3. You Will Get Cashback Upto Rs.150 As Grofers Credit As Joining Bonus Or After 1st Order Delivered. 4. Also Combined With Wallet Offer Like : Paytm, Mobikwik,Phonepe Etc For Extra Savings. 5. Grofers Credit Can Be Used 100% In Next Order. 6. Also Get 1 Coin When Your Friends 1st Order Gets Delivered. Note : You Need To Purchase Rs. 500 Groceries Along With Free Items For The Delivery. So, Target 4 Coins Items If You Have 4 Number. 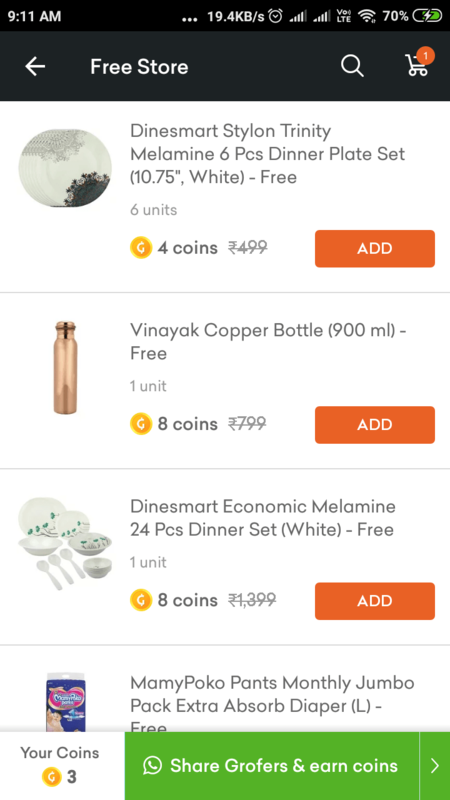 Trick : Loot Grofers – Earn 1 Coin Per Refer and Redeem Coins for Rewards Cookware Set, Dinner Set Etc. Add Rs. 500 Order Minimum To Use Joining Grofers Cash. Share your Refer Code with your Friends and Ask them to Order Anything Minimum Rs. 500. Redeem your Coins for Rewards Mentioned on Free Items Page. Also you will get Upto Rs.150 cashback on your first order using refer code. 1 Coin = Below Products For Free. How much coins (or investment) will trolley suitcase cost for existing Grofers App?? Item price you buying + 29 Delivery Charges is investment. For Trolley 8 coins needed and its depends on location to location. I got Instantly after delivery, can take Max 48 hours, if not then complain Grofers. Along with the coins we have to extra shopping of something to get the free product? Yes Rs. 500 Along With Free Products, So, Collect Max Coins According To Need Then Order At Once Like I Did. 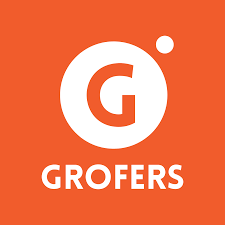 You can use this referral code NEXNXGV for your Grofers sign-up and purchase. Thank you!